Revit Architecture allows architects to focus on designing buildings, without design software or application learning curves getting in the way. Work in any view, iterate throughout your different design phases, and quickly and easily make changes to major compositional elements. Create comprehensive design proposals in record time. See your ideas realized on the fly with 3D views and fully rendered scenes. You can even make late-stage changes with full confidence that your plans, schedules, and construction documents are coordinated. Quote: This is not version "suite". 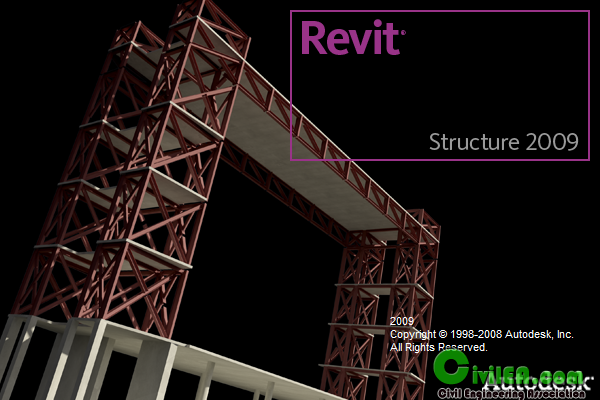 I think it is different from Revit Structure 2009 Suite so i posted it. If moderator or admin don't agree with me, you can delete this threat. Hope to help somebody download more easiler.